I've definitely ridden in both the red and blue train, but I've never paid attention to which train is on the track on a given visit. I'm 99% sure they rotate the trains every year. I believe the blue train was running this whole year and the red train was on the transfer track last weekend. So after HITP blue will come off and red will run next season. So did anything hear anything from the town meeting about a new waterpark attraction? ^ I'm hearing that it's more of infrastructure improvements/theming rather than a new attraction. ^Yeah it’s infrastructure and a name change. No true new water park ride this year. I think the park has something bigger in store for 2020. Totally assumption though. They spent a lot of money with new full park’s as additions this year to the chain so smaller additions to current parks this year make sense. Plus I think Cyborg is a really solid addition. I'm definitely intrigued to see how far they go with theming. Even a bunch of strobe lights with one of those Chance Freestyles is sure to be one of the park's better flats. This is about a month old at this point, but per the Agawam town meeting minutes on November 29, the former Bonzai Beach area will be replaced by Buccaneer Beach, which confirms the water park infrastructure upgrade. I think that SFNE is just situated in a pretty lucrative part of the country. They're within 2 and a half hours from both Boston and NYC. They may have space constraints, but its a little surprising that they haven't tried to push for it to be a big time top tier park. If they made it more of a destination park, they could probably tap into the bottomless financial potential of the technology hub of Boston and the financial capital of the world in NYC. Compared to other Six Flags parks near a large metro area, SFNE quite a bit further away. Assuming there's no traffic, it takes 2 hours to get from Boston to SFNE. I think that's a bit too far to tap into the average Boston tourist. Plus to get to SFNE, you really need a car. I think the only public transit option would be a Greyhound bus to Springfield (and the station isn't in the best neighborhood) and then an Uber/taxi to SFNE. For comparison, parks like SFOG, SFMM, SFOT, SFFT, and SFSTL are within 45 minutes of downtown metro areas. From NYC, I think a Greyhound bus again is your only option to Springfield. Meanwhile, SFGAdv is serviced NJ Transit Bus from Port Authority or Penn Station. From the perspective of Six Flags, it makes more sense to market Great Adventure for NYC. 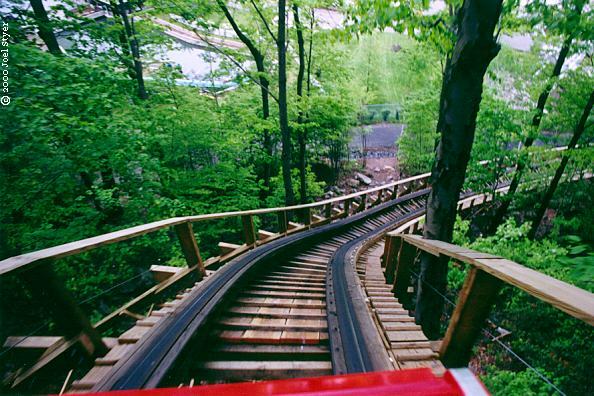 Great Adventure is not only closer, but it's a more impressive park. SFNE does an excellent job pulling locals from all the New England states. Most of my friends and family (unless they have younger kids) consider SFNE head and shoulders above New England's other parks.